For my good friend Mack’s 30th birthday. Obviously, it’s Anne of Green Gables theme, our collective youth, rolled into one. 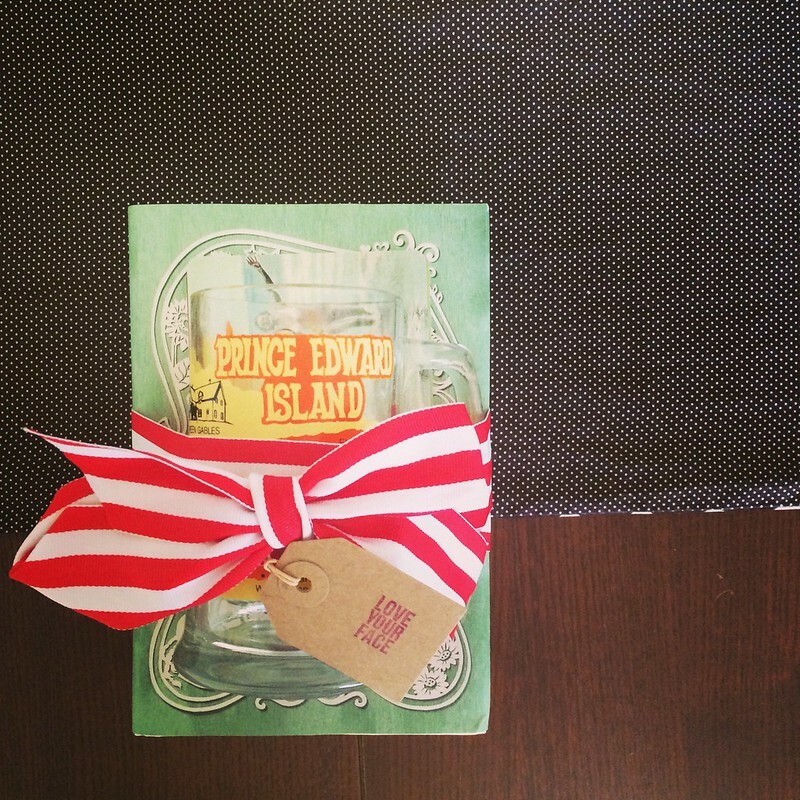 I adore the vintage Prince Edward Island root beer mug I found for her; it even has the Green Gables farm on the little map. Small gift tag made by me.